A savings of $5.05 per set. 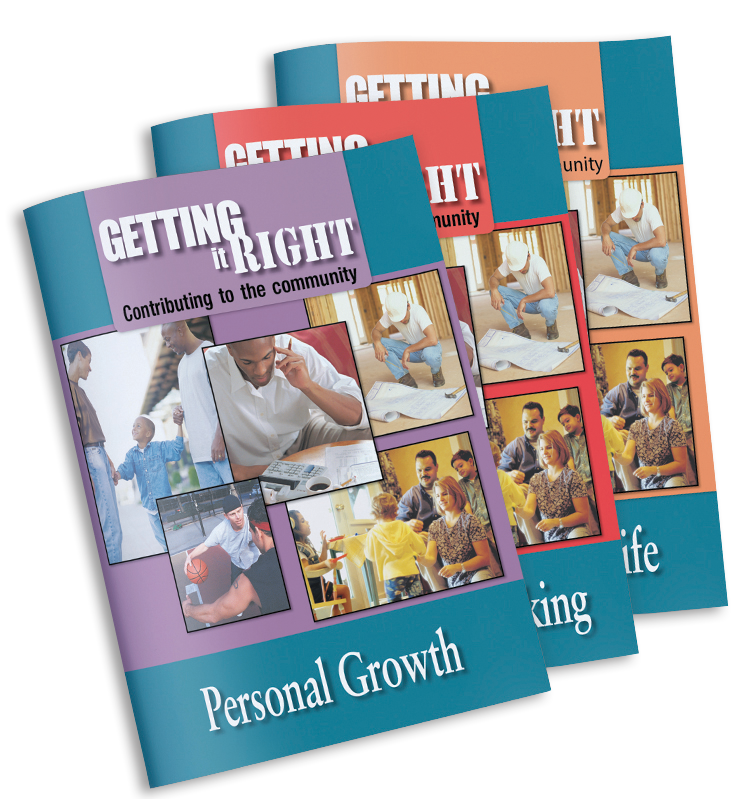 There are five Journals in the Getting It Right Program to help participants make the transition into the community and toward responsible living. A thorough Facilitator Guide to help program staff maximize the use of the Journals is available. The Getting It Right: Contributing to the Community Program brings organization and structure to your program and creates a permanent record of personal life change for every participant.